"There is no country in the world … such as the United States itself—in which capital, management, labor and resources may be joined together for more production, to the mutual advantage of all concerned." George Wythe was an attorney, judge, signer of the Declaration of Independence, and first professor of law in the United States. A mentor to Thomas Jefferson, Wythe educated a number of men who went on to achieve prominence in law and politics. Wythe was born in 1726 in Elizabeth City, Virginia. After his admission to the Virginia bar in 1746, Wythe settled in Williamsburg, then the seat of government in the colony. He became active in politics, serving as a member of the House of Burgesses from 1754 to 1755 and from 1758 to 1768. He later served as clerk of the house from 1769 to 1775. An ardent supporter of independence, Wythe drafted a fiery motion opposing the Stamp Act of 1764. However, the house was compelled to rewrite the motion and adopt a softer tone. Wythe attended the Continental Congress in 1775 and 1776 and signed the Declaration of Independence. During these years of politics and revolution, Wythe maintained a successful law practice. Many students sought his counsel, including Jefferson, who studied law with Wythe in the 1760s and viewed him as his mentor. As Jefferson rose in stature and power, Wythe became part of his circle. In 1776 Wythe, Jefferson, George Mason, and Edmund Pendleton revised the Virginia Code. Jefferson used his influence to have Wythe appointed the first law professor in the United States. Wythe taught at the College of William and Mary from 1779 to 1789. One of his first students was John Marshall, later chief justice of the United States. While teaching, Wythe also pursued a judicial career and presided as a judge in the Virginia Chancery Court from 1778 to 1788. In 1789 he was appointed chancellor of Virginia, which required him to move to Richmond. Wythe established a private law school there and had as one of his pupils the future U.S. senator from Kentucky, Henry Clay. Wythe resigned as chancellor in 1792. He published a selection of his court decisions in Decisions of Cases in Virginia by the High Court of Chancery in 1795. Wythe died on June 8, 1806, in Richmond, Virginia, of poisoning. 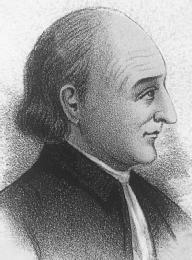 His grandnephew and heir, George Wythe Sweeney, was acquitted of the murder. At trial the only witness was an African American, who was disqualified from testifying under the laws of Virginia. Brown, Imogene E. 1981. American Aristides: A Biography of George Wythe. Rutherford, N.J.: Fairleigh Dickinson Univ. Press. Callahan, Dennis J. 2003. "America's First Law Professor Played Unsung Role in Marbury." Student Lawyer 31 (February). Carrington, Paul D. 1997. "A Tale of Two Lawyers." Northwestern University Law Review 91 (winter). Kirtland, Robert Bevier. 1986. George Wythe: Lawyer, Revolutionary, Judge. New York: Garland. The bill he drew after all this labor is notable for its studied simplicity, and the draft he submitted in advance to George Wythe represents, probably, the highest point he had yet attained in craftsmanship. When it was ready to be signed, it just happened that George Wythe was out of town. Just prior to his death, George Wythe (1726-1806), confidant of Thomas Jefferson and prominent American legal scholar, accused his grandnephew George Wythe Sweeney of poisoning him with arsenic in order to prevent the dilution of his inheritance caused by the provisions Wythe had made in his will for emancipating and providing for his two slaves, Lydia Broadnax, who survived the poisoning but was not allowed to testify at the trial because she was black, and her son, Michael Brown, who did not survive the poisoning. 6) As George Wythe put it, in words emblazoned on the base of statues standing at the Law School's main entrance: "Here we will form such characters as may be useful in the National Councils of our country. George Wythe taught in all about two hundred law students. Perhaps it should be remembered in this context that our founding fathers, in so far as they were lawyers, had only "read the law" according to Blackstone, or, as Thomas Jefferson and Chief Justice John Marshall of the United States Supreme Court, had taken-a few months classes of law under George Wythe at William and Mary, the only college in the country at that time where any law was taught. After serving an apprenticeship with George Wythe, the famous chancellor of Virginia with whom other notables such as Thomas Jefferson and James Madison had apprenticed, Clay returned to the Commonwealth of Kentucky and established himself in the central bluegrass region, settling in Lexington. Serving in the same general area as King was George Wythe Baylor, whose reminiscences on the last half of the nineteenth century have been edited by well-known historian of the Civil War west, Jerry D.
As a young man, Jefferson studied law with George Wythe and lived with him in his house. It was taught as early as 1779 by George Wythe in Virginia, and in 1784 by Tapping Reeve in Connecticut. In the early 1770s Tucker left his home in Bermuda and came to Williamsburg, Virginia, to study law with George Wythe. City Council approved an amendment for this project in FY2013 to provide Athletic Field Improvements for lighting and other improvements at George Wythe and Thomas Jefferson High Schools.